You know that carnivorous craving when you just got to have something meat-y? After trying to stave off my meat consumption sometime ago, I finally surrendered to the marvelous steak from Stix Steakhouse, because they are just too good to be missed. Long time gourmands in Jakarta would certainly be familiar with Stix Steakhouse & Bar at The Parklane Jakarta, which has been consistently serving excellent steak since...okay I'm not sure when, but this place is certainly a classic and also a favourite of the government officials. The evening that I came for dinner, the entire restaurant was booked for a private gathering from some department, so we dined at Cafe One area instead. 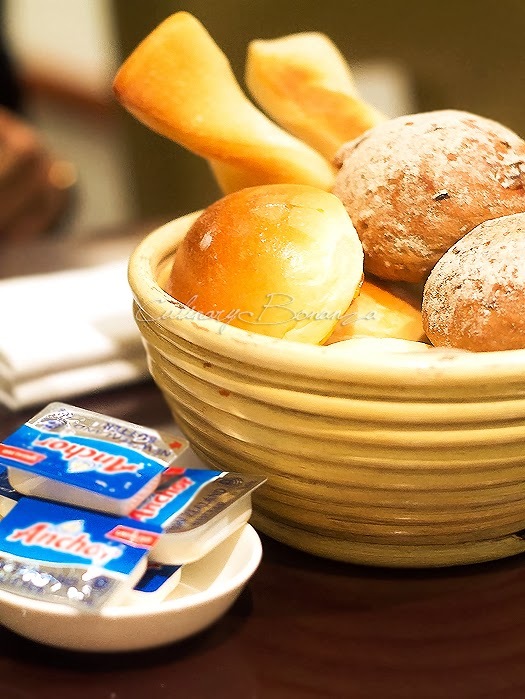 The menu is definitely dominated with steak (beef , chicken, salmon & pork), but there are some side menu to choose from such as Salad, Soup or Snack & Bar Menu. 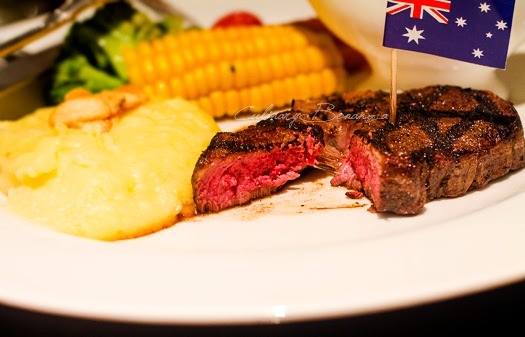 For the beef steak, we could choose from the US Prime Beef or Australian Wagyu or Black Angus Beef, which already includes a salad or soup, vegetables, potato (baked / mashed /chips) and a type of sauce (blackpepper / mushroom / béarnaise / marchand de vin). Alternatively, if you would like to hold a private event here, a smarter choice would be to book the Dinner Set Menu, which starts from IDR 250,000++ for 3 or more courses. So, here's a glimpse of a meal at Stix, feast on! 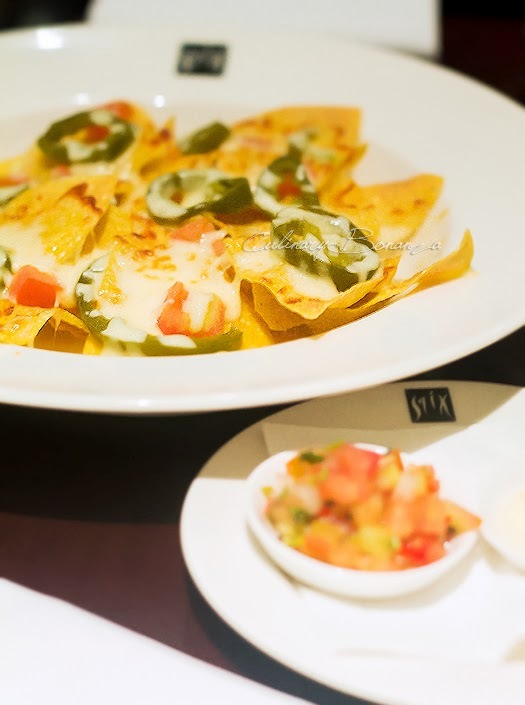 Stix Original Nachos - corn tortilla chips with warmed cheddar, guacamole and salsa. Taste best with the beef chili con carne (for an additional charge). 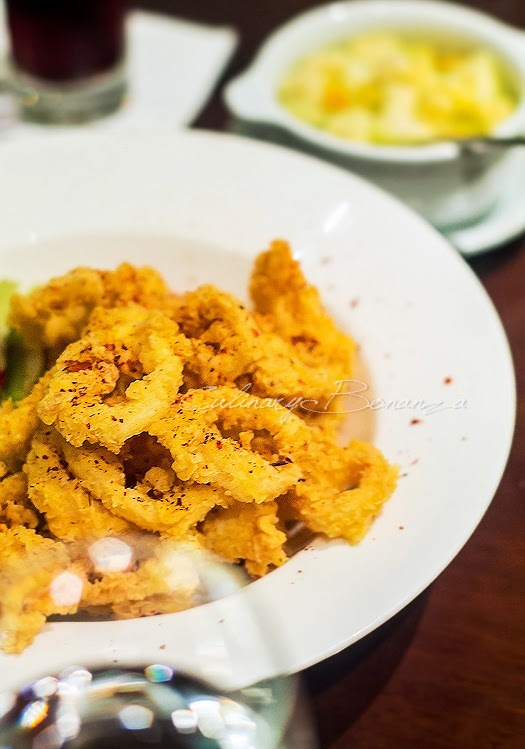 Calamari rings served with Mexican chili pesto. Warning! The Mexican chili pesto is a real devil, so only dip in the chili sparingly, unless you have a trained stomach. 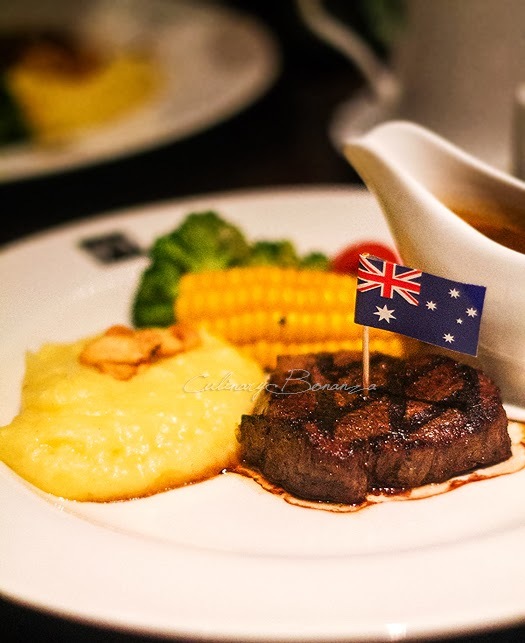 Australian Black Angus Tenderloin cooked to medium with Daily Spring vegetables, mashed potato and mushroom sauce. In the photos, the steak is only half of the actual 200gr portion, which is thicker, but about the same diameter. This was one of the best steak I've ever had, the beef was perfect (like, what could go wrong with Black Angus right? ), cooked to the right level of medium resulting in perfectly seared surface and 25% pink showing inside. The mashed potato was another guilty pleasure, so silky smooth and buttery fragrant. So, whoever says a bar can't serve top notch quality steak? Stix definitely could! Restaurant starts serving after 6.30 PM.